For trade pros, contractors, and homeowners, the ProSource Wholesale showrooms are a great place to find all your needed remodeling materials. What is special about our showroom layout is that you can view our inventory, get expert advice, and see the newest in remodeling trends. 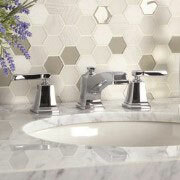 A bathroom’s focal point is its sink and sink faucets. When you think about it, when you use the bathroom you will look down when you wash your hands, as will your guests. As you are scrubbing your hands, you are given the opportunity to take in the unique style of the sink bowl and the faucet. Your bathroom, whether you mean it to or not, is one of the most important rooms in your house. Mainly because it is the one room guests can enter and observe. 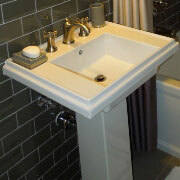 As stated, the sink and its many features are the focal point of a bathroom. Because of its importance, it would make sense to learn about the top trends in remodeling. At ProSource Wholesale, we offer showrooms that reveal the luxury of a finely coordinated wash area. Here, you will be able to see what styles look like and determine if you like them. Better still, by using our showrooms you can gain a bit of perspective and hopefully, a bit of inspiration. No one can deny the healing powers of an enjoyable shower experience. Whether you are sick, tired, or just need a pick-me-up, a hot shower can change the narrative. More importantly, a good shower can make all the difference in the world. Remodeling your shower can be a wonderful event in your life because finally you have say in the quality of your showing experience. Typically, in bathrooms, a vanity will hang in front of the sink. 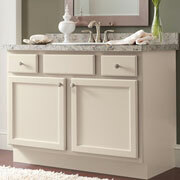 This is a piece that not only adds a dreamy quality to your bathroom, but amplifies the aesthetic of the bathroom. Learn more at our showroom. After a long day, a warm bath could be the most effective form of medicine. 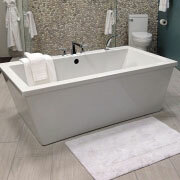 Come to our showroom and see the different options of tubs that are available for your bathroom. 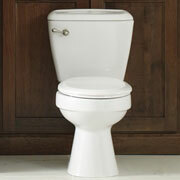 When you or a guest plan to use the restroom, you will need to utilize the toilet. Because your toilet is one of the most used devices in your home, you will want to make sure you have a beautiful, well-functioning one.